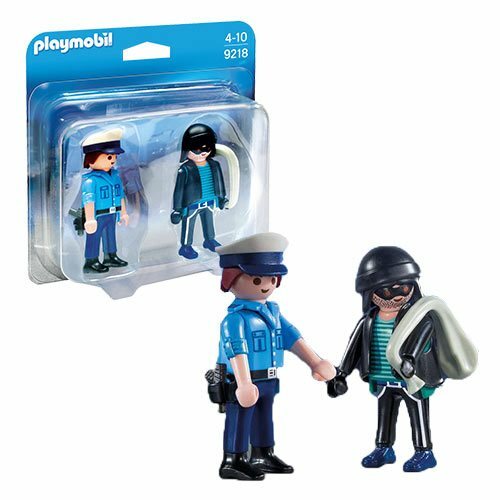 It's all in a day's work for the Playmobil 9218 Policeman and Burglar Action Figures. The police officer has a sidearm and had, while the not-at-all conspicuous burglar has a mask, hat, gloves, and a giant sack filled with his quarry. Will they get along in the city? It's all up to you! Ages 4 and up.